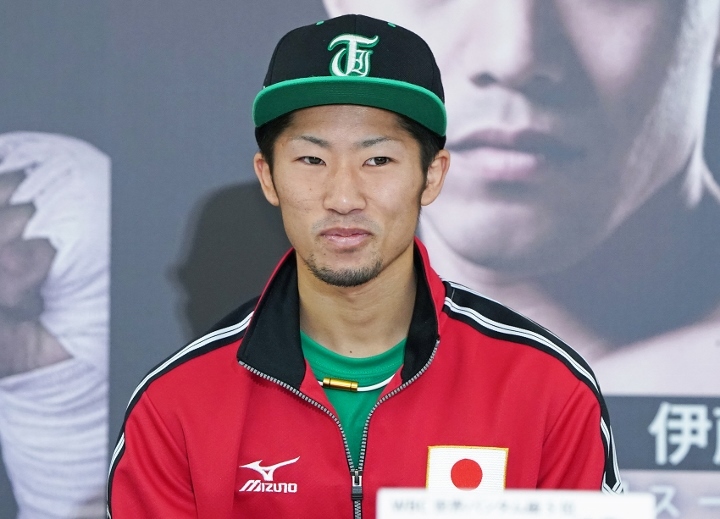 A few days ago at Tokyo’s Ota City General Gymnasium, Takuma Inoue won the WBC’s interim-bantamweight title. Inoue’s win made him part of a bantamweight champion brother act, alongside his older brother Naoya, the WBA “regular” champion. The younger Inoue defeated Thailand’s Tasana Salapat, who fights under the name Petch CP Freshmart, by unanimous decision in a fight that left both fighters gassed after the 12th round. Their fight started at a high tempo with both fighters throwing ferocious punches but soon settled into a pattern. Inoue let his opponent dictate the flow and was content to fall back on the ropes, counterpunch, cover up and get into a clinch to make his escape. Although Tasana was bloodied early, Inoue could not slow him. The Thai southpaw added a twist to the fight by switching more and more to an orthodox stance as the fight progressed. The 23-year-old Inoue improved to 13-0 in his career, while Tasana, 25, suffered his first defeat in 49 pro fights. “I feel excited,” Inoue said to Japan Times. “(Salapat) was mentally tougher and it wound up being a difficult fight for me. I am not the official champion yet, so I need to keep working hard going forward. Naoya, who is part of the World Boxing Super Series bantamweight tournament, admits that his brother is still learning on the job.